Harvest Learning Center, LLC is a professional resource for parents and guardians of young children. Harvest Learning Center started officially as Harvest Home Daycare in 2003. The center opened as a family child care home facility with an initial enrollment of three children. In less than a year, the center was operating at its licensed capacity of five children with additional children on the waiting list. In order to accommodate the obvious need for quality care, Harvest expanded to a new location. The current location remains in a small residential setting yet allows for an additional 31 students. 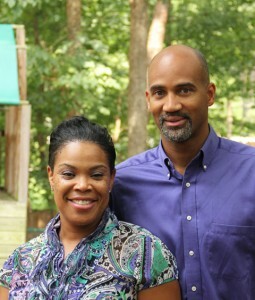 The owners and operators of Harvest Learning Center are Donnell and Lynette Mitchell. They have three sons and both hold Early Childhood Credentials from local accredited institutions. Donnell is an alumnus of UNC-Chapel Hill Kenan Flagler Business School and handles the business side of HLC. Lynette is the full-time director, managing a staff of qualified and caring teachers. A former freelance writer and full-time journalist for major news organizations, Lynette holds a B.A. in Journalism and History from UNC-Chapel Hill. She also holds a Masters degree in Early Childhood Education from UNC Chapel Hill. To strengthen family life by providing care that promotes the development of the whole child. This includes establishing meaningful communication with parents in order to ensure a satisfying relationship between the home and the center. To provide a stimulating learning environment cultivated by well-trained and qualified staff. Harvest Learning Center (HLC) is a Christian-based organization founded upon the principle that a great society is built upon its investment in its children. We believe that every child is special. Each child should be loved and encouraged to learn at his/her own pace in a secure, warm and stimulating environment. Each child’s unique talents and gifts should be recognized and cultivated by well-trained and qualified staff. The moral character of each child should be gently molded and shaped to create self-respect and respect for others. Everything flows from our amazing and loving Creator. We look to Him for our vision, our curriculum, our outreach, our ministry, our strategies, how we address problems. We are guided by truth and honesty from sanitation, to safety, to snuggling. 3. We are a team. Teamwork makes the dream work. We will always strive to build the most caring, competent team in our industry. Our employees are our most valuable asset and we treat them with respect by acknowledging the professionals they are by providing competitive compensation and investing in formal education and training. We don’t meet just minimum standards. We want to excel, having parents feel blessed and not stressed that they can go to work each day knowing their children are not only cared for but loved. Our clients are not just our customers. They are extended family. As the African proverb says, “It takes a village.” This care extends to our community through our philosophy and curriculum where we give back through nursing home visits and fundraisers for St. Jude’s Hospital. We know that childcare is a necessity and we will do our best to keep costs at reasonable levels while never sacrificing quality.